Julian Albert may have taken a trip into a Vanishing Cabinet in the time between Flash Seasons 3 and 4. 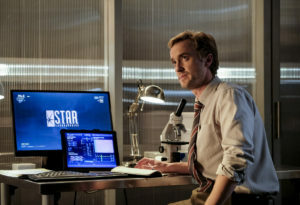 EW.com is reporting that Tom Felton who played Julian in The Flash Season 3 is not a series regular for Flash Season 4 and, so far, he hasn’t booked a return appearance to the show. Julian did not appear in the Season 4 sizzle reel, so this news may not be that surprising, but in some cases, like Floriana Lima over on Supergirl, these people have already booked returns. 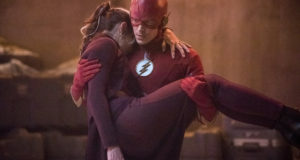 Let’s hope that Julian doesn’t die off-screen; the trope of Caitlin losing those who are close to her has run its course. 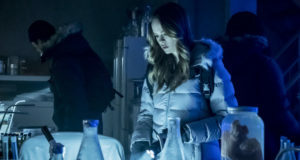 In any event, The Flash returns for Season 4 on Tuesday, October 10 on The CW. Previous: The Flash Season 4 Comic-Con Trailer Is Here! Next: Photos: The Flash Cast At Comic-Con 2017!